Copper coating is a common operation, it is the area that has no wiring on the circuit board is covered with copper film. 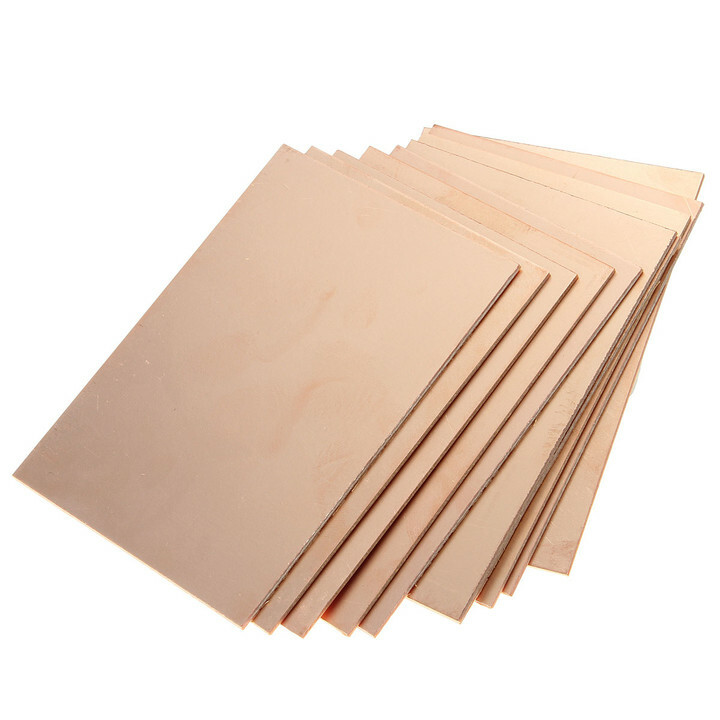 This can enhance the anti-jamming performance of the circuit board.The so-called copper coating is to use the unused space on the PCB as a datum, and then fill it with solid copper, which is also known as copper pouring.Copper coating can reduce the ground line impedance and improve the anti-interference ability.Reduce pressure drop and improve power efficiency;In addition, it is connected with ground wire to reduce the loop area. 1. Single point connection of different places: the method is to connect by 0 o resistance or magnetic bead or inductance. 2. The copper coating near the crystal oscillator is a high frequency emission source in the circuit: the method is to apply copper around the crystal, and then separate the crystal vibration shell. 3. Dead zone problem: if you feel big, it won’t cost much to add a hole to the hole. What are the advantages of covering copper? Improve power efficiency, reduce high frequency interference, and one is to look beautiful! Large area copper or mesh copper? You can’t generalize.Why is that?Large area covering copper, if the wave crest welding, the board may be up, may even bubble.From this point of view, the heat dissipation of the grid is better.It is usually high frequency circuit to resist interference demands high multi-purpose grid, low frequency circuit with large current circuit and so on commonly used complete copper. , at the beginning of the wiring to earth alike, ground walk the line when it should go, can’t rely on by adding a hole after the copper clad to eliminate for the connection to pin, the effect is very bad.Of course, if you choose to use mesh copper, these connections will have some effect on aesthetics. If you are careful, you can delete them. Filling and copper with intelligent, this operation will take the initiative to determine copper irrigation area in the hole and the network properties of bonding pad, absolutely meet you at a safe distance. It is different with drawing copper, drawing copper sheet without this feature. To fill the role of copper has a lot of, will be the opposite of double panel filling and copper, and connected to the clock, can reduce interference and increase the scope of ground wire laying, reduce low impedance and so on. So the PCB wiring, after the completion of basic tend to filling and copper. Iii. Matters needing attention to copper wiring. The safety spacing of copper coating is usually twice the safe distance of the wiring.However, before the copper coating is not covered, the safety spacing of the wiring is set up for the wiring, so the safe distance of the copper coating will also be the safe distance of the wiring in the subsequent copper coating process.This is different from the expected outcome. After one is in the good line, the safety distance is extended to 2 times, then copper, copper clad after completion of the safe distance change back to the wiring a safe distance, this DRC check is not an error.This can be done, but if you want to rerun the copper, repeat the above steps, which is a little trickier, and the best way to do that is to set the rules for the safe distance of the coppers alone. The next step is to change the IsPolygon to InPolygon in the FullQuery display box, and finally modify the copper security spacing you need in Constraints.Someone says wiring rules priority is higher than that of copper clad priority, copper clad must be obey the rules of the wiring safe spacing, need inside wiring rules of safe distance between the copper clad this exception to add, particular way is in FullQuery notInPolygon annotation.Actually doing so is unnecessary, because the priority can be changed, the left corner of the home page of an option priorities set rules, the safety of the copper clad spacing rules priority to above wiring safe spacing rules, each other just the way they are. When copper is selected in the selection of the two modes, there is a place where TrackWidth is set.If you select the default 8 mil, copper and you connect the network at the time of set the line width range, minimum line broad in 8 mil, then when the DRC will be an error, in the beginning and didn’t notice this detail, after every copper clad DRC has a lot of mistakes. Is inside the Rule of the Clearance, to create a new Rule Clearance1 can customize (name), then WheretheFirstObjectmatches option box select the ADVANCED (Query), click the criteriabuilder, then appear BuildingQueryfromBoard dialog box, in this dialog for the first line of the drop-down menu ShowAllLevels (the default for this),Then under the ConditionType/Operator select ObjectKindis drop-down menu, and then to the right of the ConditionVALUE the drop-down menu below choose Ploy, that will be displayed in the right QueryPreview IsPolygon, click OK to confirm keep out, then haven’t finished, IsPolygon InPolygon instead in FullQuery display box, the last step,Now you can change the spacing you need in Constraints.This will only affect the spacing of the copper, not the spacing between the layers.